There can be several reasons for this. First of all, he might not really hear or recognise his own errors when he’s talking, so he doesn’t realise that he hasn’t said the word correctly. It is often easier to recognise errors when someone else is talking, than to recognise your own, since you know what you’re trying to say. I’m sure we’ve all had the experience of discovering that we didn’t say quite what we thought we had! Secondly, it is very likely that the sound is still more effortful for him to say than what he was saying before. He can say it, but he still needs to think about it quite hard. It’s really hard work to do this all the time, so he tends to only do it if someone reminds him. Often a block of speech and language therapy will have ended when a child is able to say the target sound in words – a bit of work may have been done on phrase and sentence level but often this skill of generalisation is left for parents and schools to do. And in many ways, this is the best place for it to happen, as everyday conversation is now where the problem is. 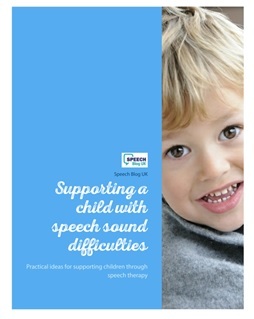 I think generalisation of speech sounds has 3 phases. 1. First of all, your child needs to be able to use the sound in sentences in a structured situation. For example, you might use a set of pictures with the target sound in (if you don’t have any of these, make your own or look here). Play games with the pictures and give your child a short sentence to say with that word in. Try to use as many games as you can to keep it interesting – eg attach them to skittles to knock down, hide them around the room, throw a beanbag or rolled up sock at them, play a Kim’s game with them and see if your child can identify which one has gone, anything you can think of to keep their interest. 2. When your child can do this really well, play similar games but this time, ask them to make up their own sentences instead. This is harder because they haven’t heard you model it first, but they still have the pictures to tell them which word they need to concentrate on. 3. This final stage is where you transfer it to conversation. Here you won’t be using particular pictures or activities so much, but just having conversations with your child. Try not to correct your child all the time though, as they will find it frustrating. Instead spend 5 minutes a day just chatting with them about anything and during that time tell them that you will be listening out for the sound they have been practising. You could make a game of this, giving them a point for every time you hear the target sound and seeing if they can beat their score each day. 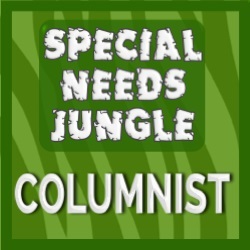 Another idea is to try making up a story with your child. You could put some pictures in a bag and take turns to pull one out and add it to the story. Also play general language games like “I spy” or I went shopping and bought. Make sure you use lots of words with the target sound in. 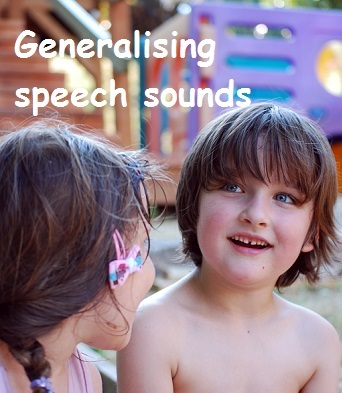 Many children take time to generalise speech sounds, but work through these stages over a few months until they are using them in day to day speech. However, there will be some children who will get stuck at a particular stage, or who really struggle to hear their own errors even after practising a lot. If this happens, do consult a speech and language therapist, who will be able to tell you how best to proceed.